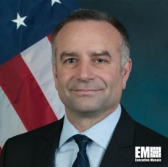 David Powner, director of information technology management issues at the Government Accountability Office, will formally join Mitre in late August as director of strategic engagement and partnerships. Mitre said Thursday Powner will aim to expand the nonprofit research corporation’s relations with government, industry and academia in his new position. He has 25 years of private and public sector experience, which includes a 16-year career at GAO. The federal service veteran helped implement the Federal Information Technology Acquisition Reform Act, led the creation of a FITARA scorecard and provided input on the Modernization Government Technology Act.